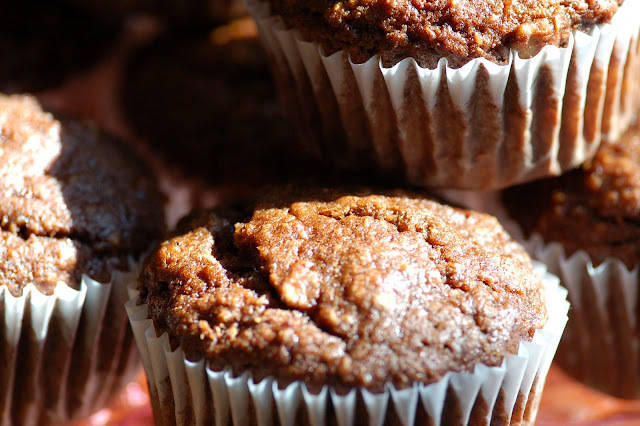 Warm notes of bittersweet chocolate pair with bananas in this gluten & dairy free muffin. Both wholesome and naughty all in one bite! Loaded with wholegrains, fruit and bittersweet chocolate. I've been experimenting with wholegrain baking, leaving out the typical inflammatory wheat flour and of course that shockingly sweet refined white sugar. For years, I've used organic evaporated natural cane juice and other wholesome sweeteners like pure maple syrup, raw honey and a bit of agave. Nothing creeps me out more than all of those agrochemicals concentrated inside the shockingly sweet white granules most of us grew up with! It's just recently however that I seem to be getting the hang of incorporating the right combination of wholegrain flours to yield a delicate crumb, that won't have you craving wheat flour. Don't get me wrong, I do love wheat, but everything in moderation. Afterall, I am Italian and can't go long without fresh pasta and traditional pizza!! The great thing with wholegrain baking is really how satiated you feel after eating one serving. Again, just a sneak peek of what's to come! 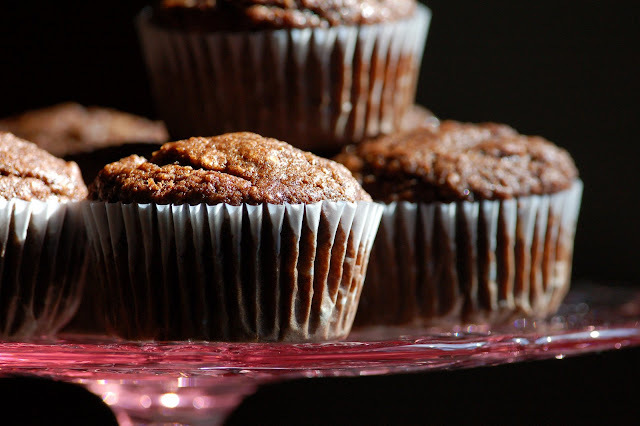 Chocolate muffins have always been a little piece of heaven for me. Now I can try a healthy version!